What Are the Benefits of Cactus Juice? Due to its antioxidant action, prickly pear cactus juice can be used to improve your overall health, may be able to reduce cancer risk and can even reduce the severity of your hangover when you overindulge in alcohol. It’s available in supplement form, or you can use seven to 10 medium cactus fruits to make one cup of cactus puree. Strain your raw fruit pulp through a medium-fine wire strainer. This removes fibers and seeds. Freeze pulp and puree for future use, recommends Ran Knishinsky in “Prickly Pear Cactus Medicine.” Always consult a health care professional before using a new supplement. Cactus juice may help reduce risk for cancer, says Da-ming Zou, lead author for a study published in Nutrition Journal. It may someday be used as a natural alternative to chemoprevention of cancer, in which chemical agents are used to ward off cancer among high-risk populations. Chemical agents are expensive and have numerous undesirable side effects. Cactus juice may be a good alternative because it can inhibit cancer cell growth and slow tumor growth, says Zou. Cactus works just as well as a synthetic retinoid that’s being used in chemoprevention trials, Zou says, but he notes that more study is needed to confirm this benefit and the mechanism by which the cactus works. Cactus juice provides antioxidant benefits, says Luisa Tesoriere, lead author for a study published in the “American Journal of Clinical Nutrition.” In fact, Tesoriere says it works as well as vitamin C supplementation in enhancing overall antioxidant defense in the body, and outpaces vitamin C in reducing oxidation of fats, a process that contributes to atherosclerosis. 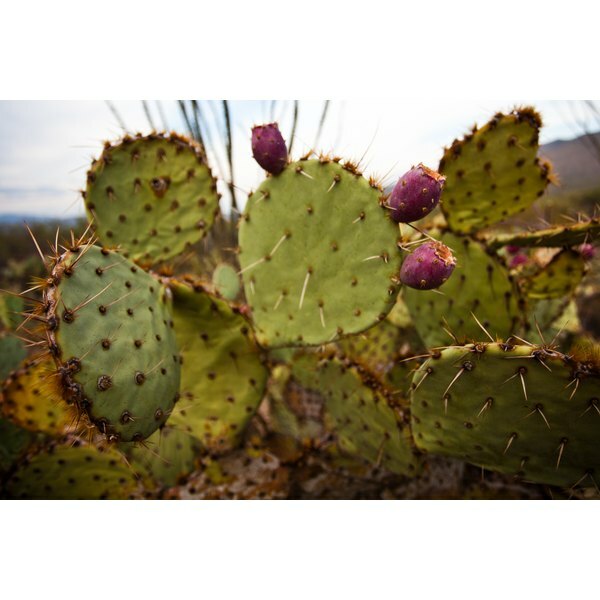 Prickly pear supplementation also may cut risk of degenerative and age-related diseases that oxidative stress plays a role in, says Tesoriere. Prickly pear cactus juice may help you prevent—or at least lessen the effects of—hangovers, says J. Wiese, lead author for a study published in the Archives of Internal Medicine. Hangover severity may be related to byproducts of alcohol metabolism as well as inflammation caused by impurities in the alcohol. Cactus juice diminishes your body’s inflammatory response. Wiese conducted a double-blind, placebo-controlled, crossover trial and found that people who used the juice prior to drinking cut risk of a severe hangover in half. The juice significantly reduces three classic hangover symptoms: nausea, dry mouth and loss of appetite, Wiese notes. What Are the Benefits of Amla Fruit?